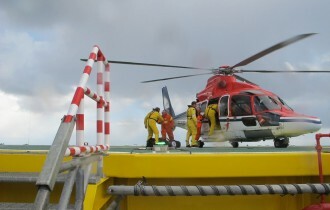 'H2M provides solutions for situations in which safety and weight are crucial. 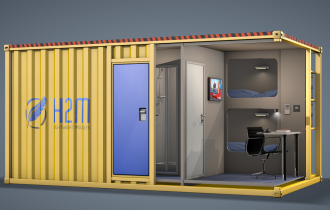 H2M creates a productive environment with a high degree of comfort.' H2M's slogan is a clear statement that describes exactly what distinguishes H2M. And their way of working is paying off. 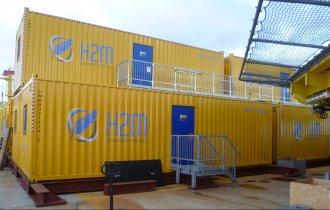 Less than a year after the first modules went into production, H2M landed its first client: Heerema Fabrication at Zwijndrecht. 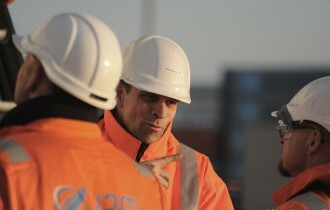 Heerema is going to put the first four 33ft modules and the first two 15ft modules to use. We install the modules on the Dolwin Alpha; a converter platform for ABB. 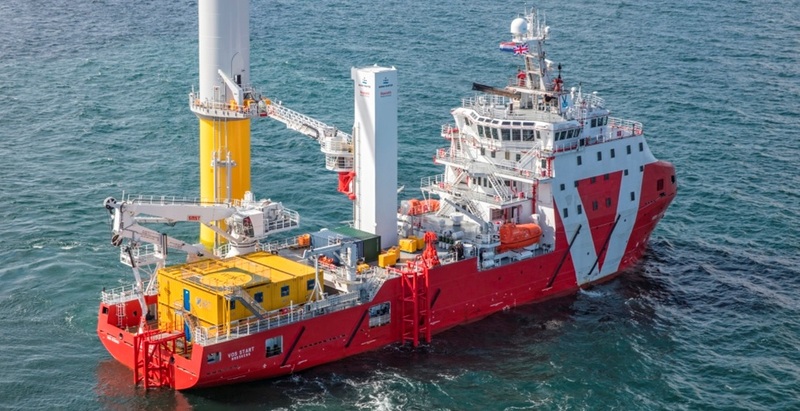 Heerema is currently building this for its client, TenneT. 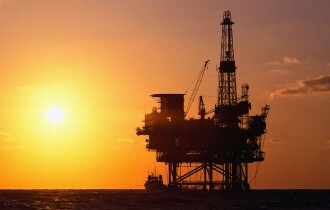 As soon as the weather conditions on the North Sea permit it (this is expected to be in mid-March 2013), the modules will go offshore. Besides this first purchase, Heerema is interested in an extra purchase. To be continued! 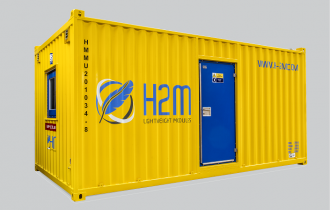 H2M has shown its face at trade fairs in Houston (OTC), Norway (ONS), Germany (Husum Wind Energy), Amsterdam (Offshore & Energy) and recently in Scotland (Renewable UK). And it's for good reason; these kind of events are good for brand awareness and new inquiries (which vary from offices and sleeping modules to kitchens and recreation areas). The wind had been an important source of energy for centuries and the demand for 'green energy' is growing. For that reason, wind energy is making a comeback - and offshore wind parks are shooting up like weeds. The demand for temporary, lightweight accommodations will, as a result, only grow in the coming years. H2M responds to this demand. Less is more; weight is increasingly important to the offshore industry, so development in this area is continuing full speed at H2M. We constantly seek ways to make the modules even lighter, while maintaining the set safety requirements and the desired comfort levels. This pursuit is successful too: another eight modules are going into production at Montfoort.